As we look at the current and future state of the UAE’s manufacturing sector, it is only natural to focus our attention on some of the most important concepts in organizational excellence that were born in the manufacturing sector.Operational excellence has long been a hot topic as management gurus continue to search for the perfect business model and the best techniques to improve efficiency and reduce waste in operational processes. The manufacturing sector can be credited for the introduction of some of the most widely used quality management principles today, most notably the concepts of ‘Kaizen’, ‘Six Sigma’, and ‘Lean’. Over the years, terms seem to have lost their individual identity as they continue to be used interchangeably without knowing the true meaning or use of these words. So, what is the difference between Kaizen, Lean and Six Sigma? Kaizen is a Japanese word basically meaning “Change for the better” and is often viewed as an endeavour for “Continuous Improvement”.Kaizen should be viewed as journey as opposed to a goal or straightforward process. Generally speaking, it is more of a mind-set than a specific tool. Some choose to think of it as culture that needs to be adopted and embraced across an organization. Kaizen utilises creativity and ingenuity to identify problems and then develop and implement ideas to solve those problems. The Kaizen philosophy states that everything can be improved and everything has the potential to perform better or more efficiently.It helps to identify and reduce waste (Muda), reduce output variations and inconsistencies (Mura) and eliminate overly hard work (Muri). These 3 factors are referred to as the ‘3M’ in Kaizen theory. Successful implementation of Kaizen requires the full participation of employees in the improvement process. People at all levels of an organization should be involved, from the CEO down to the cleaning staff, as well as external stakeholders when applicable. 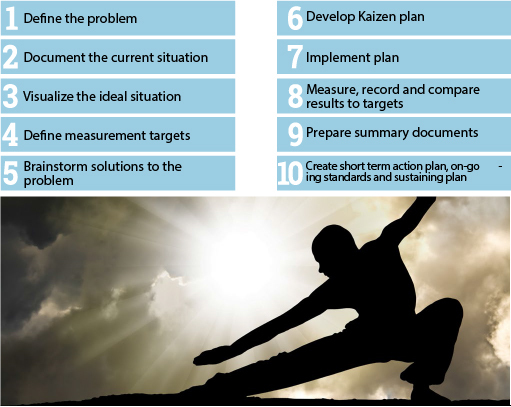 Kaizen is most commonly associated with manufacturing operations and it has even been popularised in the mainstream consciousness by Toyota, who claim much of their success comes from following a Kaizen philosophy. 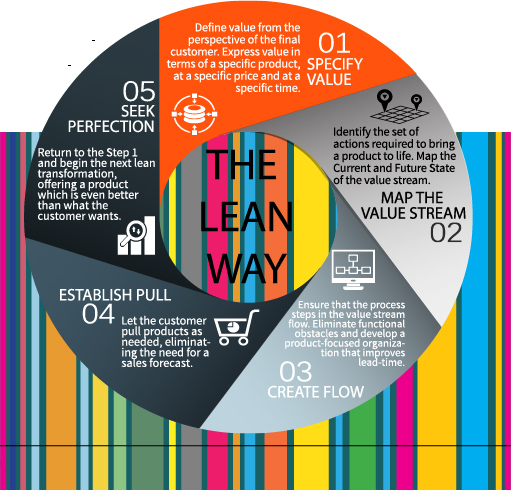 Lean is a production practice with the key principle of preserving value with less work. Operations that fail to create value for the customer are deemed wasteful. For Lean to be successful, it has to eliminate business silos and receive top down support amongst senior management and employees. Based on the 1980s Toyota Production System, Lean covers all facets of the manufacturing business, from quality assurance to human resources, and has emerged as one of the most important and widely practiced quality management theories today. Process-orientated industries with clearly defined value chains are the most receptive to Lean methodology. 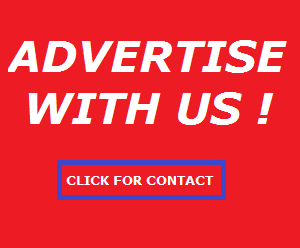 These include, but are not limited to, automotive, industrial engineering, and pharmaceutical industries. Six Sigma is a set of tools and strategies designed to limit defects and variances in business processes and products. There is an overarching goal of process improvement, as opposed to Lean’s emphasis on waste reduction. Motorola first outlined Six Sigma in 1985 as a statistical model of manufacturing processes. A “sigma rating” relates to the percentage of defect-free products.A sigma rating of 4.5 (3.4 defects per 1 million) was initially claimed as a realistic benchmark, with 6 sigma seen as the ultimate goal. The 6 Sigma translates to a figure that states 99.99966% of all opportunities produced, should be free of defects. Six Sigma was popularised by then CEO of General Electric Jack Welch in 1995, and by 1998 he claimed that it had led to $750 million in cost savings.By the late 1990s, two thirds of Fortune 500 companies had incorporated Six Sigma projects, and by 2000, the discipline had spawned its own training and consultancy programs. Its two project methodologies – DMAIC (define, measure, analyse, improve, control) and DMADV (define, measure, analyse, design, verify) are based on Deming’s Plan-Do-Check-Act cycle. Six Sigma’s implementation relies on a dedicated improvement team divided into unique hierarchies that are based on a “belt” accreditation system.The team leverages advanced statistical techniques such as pareto charts and root cause analysis to reach quantified value targets that ultimately aim to reduce defects. One key innovation of Six Sigma involves the introduction of a strict hierarchy of quality management functions and member rankings, similar to some martial arts systems like Kung-Fu and Judo. These include Executive Leadership, Champions, Master Black Belts, Black Belts, and Green Belts respectively. Originally developed to improve manufacturing efficiency and quality, Lean Six Sigma is now being widely adopted by financial institutions, retailers, hospitals and other corners of the services industry.Because Lean and Six Sigma can often complement each other, many quality management practitioners have combined the two approaches to increase the speed and effectiveness of any process within an organization. Together, they can help companies reap the benefits of faster processes with lower cost and higher quality. So what approach to quality management is right for your organization? Well, there is no right or wrong answer. But we suggest that you start your journey towards operational excellence by asking the fundamental question that drives the Kaizen mind-set: “What is the problem you are looking to solve?”Until the answer to this question is clear, then choosing the right methodology will be hard.If a general methodology to process improvement across your organization is what you seek, then perhaps the simpler, Lean approach to quality management is right for you. But if product and output perfection is your main goal, Six Sigma could be the better choice. Ultimately, make sure that the methodology selected will be supported by your organization’s structure, management system, and corporate culture and you will hopefully see results in no time!